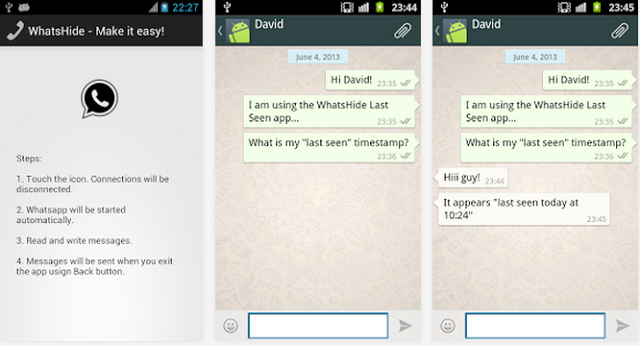 Are your loved ones using WhatsApp to hide their text conversations? Do you fear your employees are just wasting away their time on WhatsApp? Would you like to find out exactly what they talk about? To do you want to lay your eyes over the media they have been sharing? iSpyoo lets you Spy Whatsapp Messages iPhone conversations that take place on a phone and will help you get the full story of their conversations. All WhatsApp spying information be accessed by simply logging into your online iSpyoo कंट्रोल पैनल. ध्यान दें: कृपया इंतज़ार कीजिए 15 मिनट डेटा के उन्नयन के लिए. आप अपने खाते की सेटिंग्स में समय सिंक बदल सकते हैं. उममीद है कि इससे मदद मिलेगी: How To Spy Whatsapp Messages iPhone?